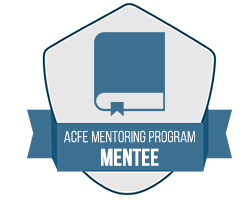 Welcome to the ACFE Mentoring Program! 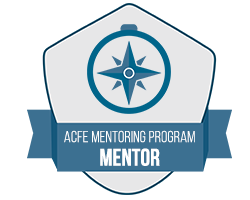 The ACFE Mentoring Program connects you to anti-fraud professionals from all over the world who can offer you a wealth of resources, experiences, advice and guidance. Enrollment is free for all ACFE members in good standing. The first session of 2019 is currently underway. The next session will begin July 22, 2019. Participants can choose to meet by phone, video chat, email or in person, and must commit to one hour per month. For more details, read the program guidelines and FAQs. ACFE President and CEO Bruce Dorris, J.D., CFE, CPA, describes what the ACFE Mentoring Program can do for you.